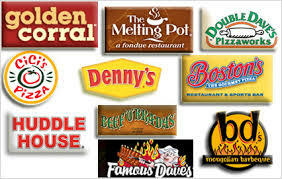 This article focus to explain Advantages and Disadvantages of Restaurant Franchising. There are many different types of company format franchises, but when most people think of a new franchise business, their particular first thought can be of food. The success and growth of many big brand-name fast-food franchises makes this a logical first stop in the thinking practice. When evaluating restaurant franchises, you must consentrate on the characteristics on the business from a new franchisee’s perspective to find out whether this industry is the right choice for you. This article focus on Advantage and Disadvantage of Restaurant Franchising; advantages are Easier to receive business financing, Access to elite marketing materials. Disadvantades are: High purchase price, High employee turnover etc.